It's National Pet ID Week! The third week of April (16-22) has been designated National Pet ID Week. It is a time to increase awareness of the need to properly identify all pets. We encourage pet owners to use various pet identification methods to ensure the safe return of their pets should they become lost: check their microchip is working at your next vet visit and ensure your contact details are current on a National Pet Register . Have your dog wearing a Pet ID Tag at all times is still the easiest way for your dog to be identified and returned to you quickly. The 6 winners will select the size (Small/Medium/Large) that best suits their dog and also receive free engraving and shipping. Total Prize Pool is $117.00. To be in the running, simply Like/Share + Comment "with a photo of your best buddy and which Tag Design would best match their personality and why? via our Facebook or Instagram posts (20/04/18). Be creative! 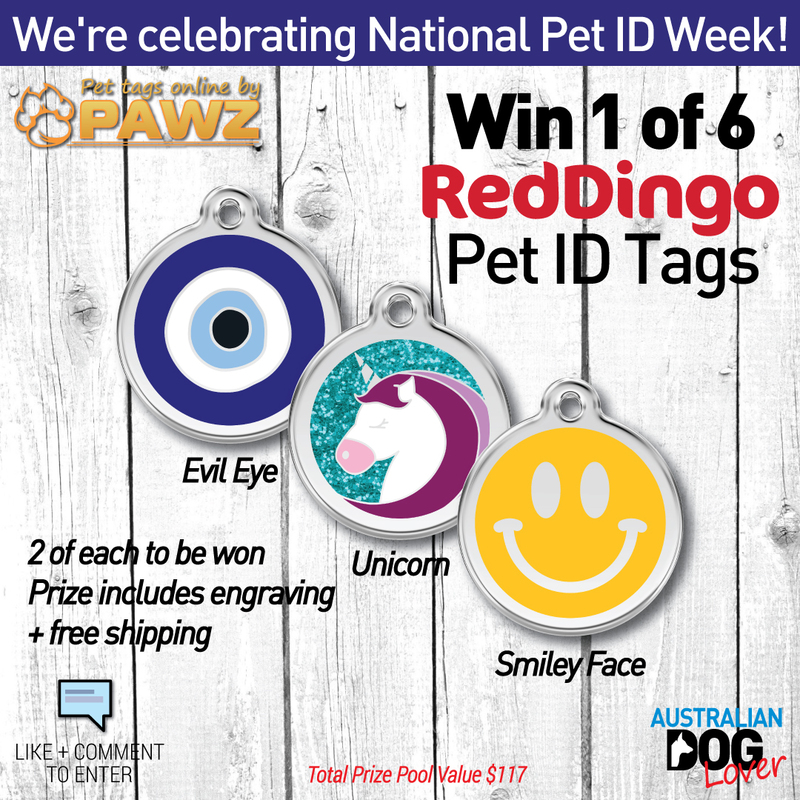 So if you've recently moved, added a new furry friend to your pack or you're tired of your old one, this is the chance to upgrade and refresh with a new Red Dingo Pet ID Tag! With so many styles and colours to choose from, why have just one? You can match them to your dog's latest collar or get an extra one for that special occasion. 1. This Competition will close on Friday 27th April, 2018 (3pm). The 6 winners will be drawn and announced on Sunday 29th April, 2018. 2. To enter, like and share and comment with "with a photo of your best buddy and which Tag Design would best match their personality and why?